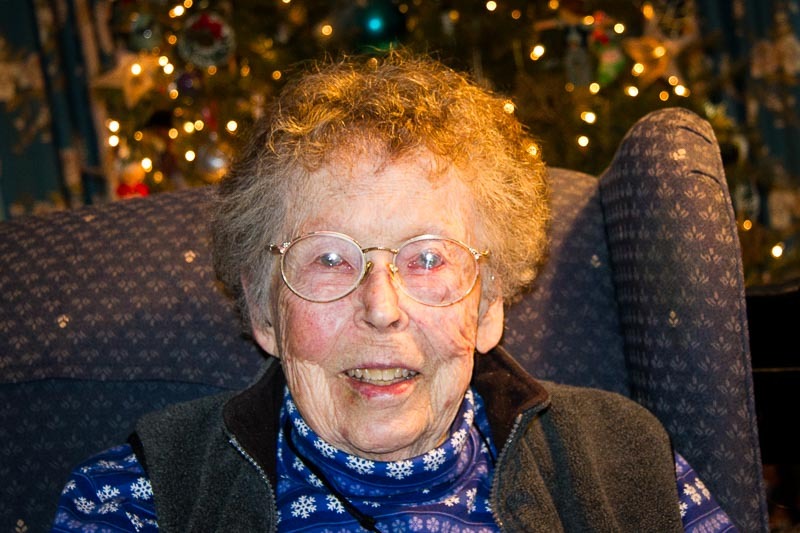 Longtime resident Barbara Turner, pictured in December of 2014. When you are a genuinely good person and live to be 98 years old, that in itself is a blessing. An additional result of having endeared yourself to so many people over the years is that you acquire many, many friends. A whole community of them, actually. And in a time of need, those friends can come together in the best sort of way. Recently, Long Grove experienced one such moment, in which citizens randomly pitched in to help longtime resident Barbara Turner enjoy her beloved Woodland again. Barbara and her family are best known in Long Grove for the donation of the Reed-Turner Woodland, a 36 acre nature preserve just north of our historic downtown on Old McHenry Road. In the last year Barbara’s health has not allowed her to get outside and enjoy the beautiful open spaces right outside her home; even the porch has not been accessible due to a large step down. 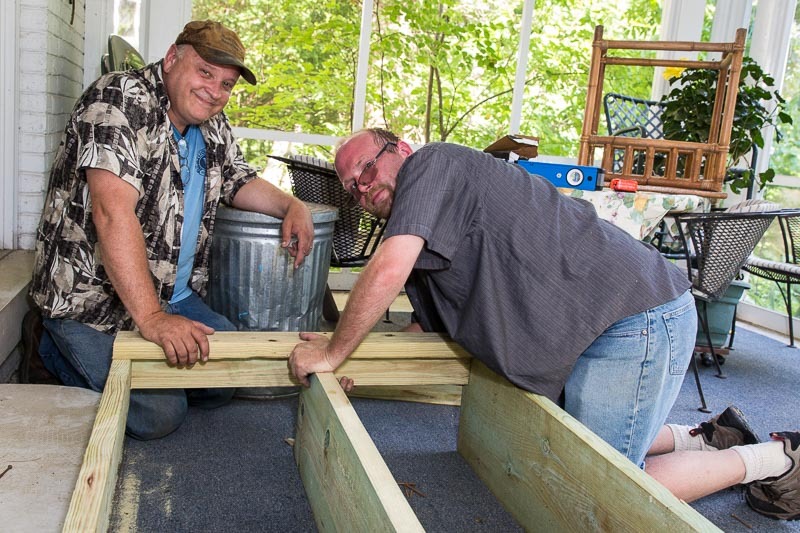 All that has been recently remedied, when a crew of local businessmen and resident volunteers showed up to build Barbara a ramp out to her screened-in area. Today, she is once again enjoying the bird songs and wildflowers. And despite the current heat & humidity–who doesn’t just crave a little fresh air now and then? All this came about when several of Barbara’s friends tried coming up with ideas to get her back outside. The porch presented a challenge regarding the ramp design, which was finally solved by a local builder and contractor. Past and current elected officials helped design and organize the project, and waived the building fees. The local Lions Club helped out with building materials and labor, with assistance from a few handy members of the Historical Downtown Merchants Association and Historical Society. All of this could not have been done without the cooperation of the Long Grove Park District, which owns and maintains Barbara’s home as well as the entire Woodland preserve. In our fast -paced modern world, it is easy to get caught up in the negative headlines and news feeds. It can seem discouraging that we live in a time and place where civility and human kindness take a back seat to being right and being in control. Witnessing everyone collaborate to help a beloved neighbor is an important reminder that by working jointly with others, great things can happen. Small town spirit is still alive in Long Grove! When we labor together, it’s a “win” for all of us.